PODCAST 361 IS SUPER HI-TECH!!! Hey Y'all! 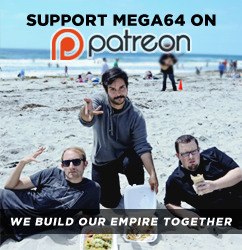 Its time for another brilliant episode of the Mega64 Podcast! In this episode: We pull out all the stops and give you the highest quality podcast, maybe in internet history! Watch us all in beautiful resolution as we talk about our new Dragon Ball video and all that went into making it, and we talk about our adventures in Texas at RTX!!! Listen to the audio here!!! That's all for now, stay tuned for more exciting news about our plans for PAX and so much more!! !